What do you do when you need to remember something? Do you write it down? 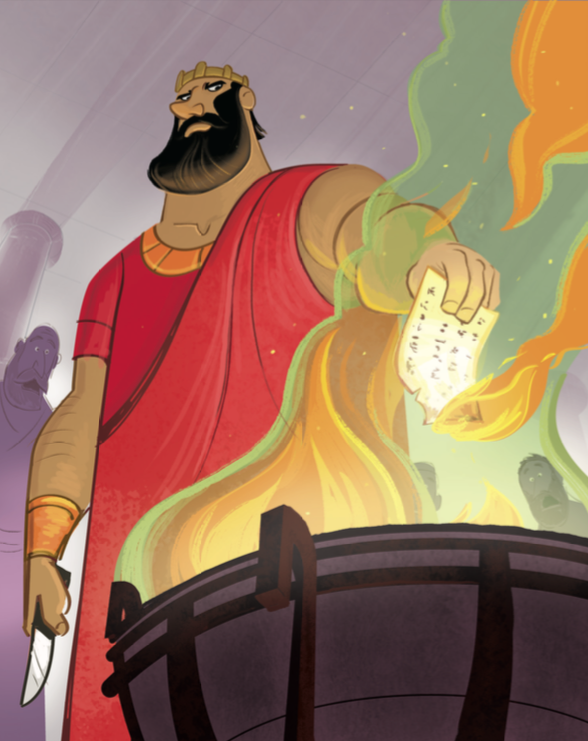 This week in The Gospel Project® for Kids, kids will learn that the people of Judah had forgotten God’s Word. Jehoiakim was king, and “He did what was evil in the Lord’s sight just as his ancestors had done” (2 Kings 23:37). The people of Judah were facing God’s judgment for their sin. God told Jeremiah to write on a scroll all the words God had spoken about Israel, Judah, and all the nations. God was patient. He gave the people a chance to heed a warning and to turn from their sin and be forgiven. Jeremiah’s scribe, Baruch, wrote the words Jeremiah received from God. Then Baruch read the scroll. But the people did not heed the warning. King Jehoiakim’s officials brought Jeremiah’s scribe, Baruch, to the king. Jehoiakim rejected God’s Word, cutting it up and throwing it into the fire. God told Jeremiah to write another scroll. 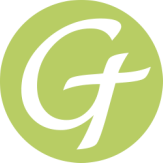 God said He would punish Jehoiakim for rejecting God’s word about the coming judgment. He would punish Jehoiakim’s descendants too. The disaster God warned about would come to the people who did not listen. 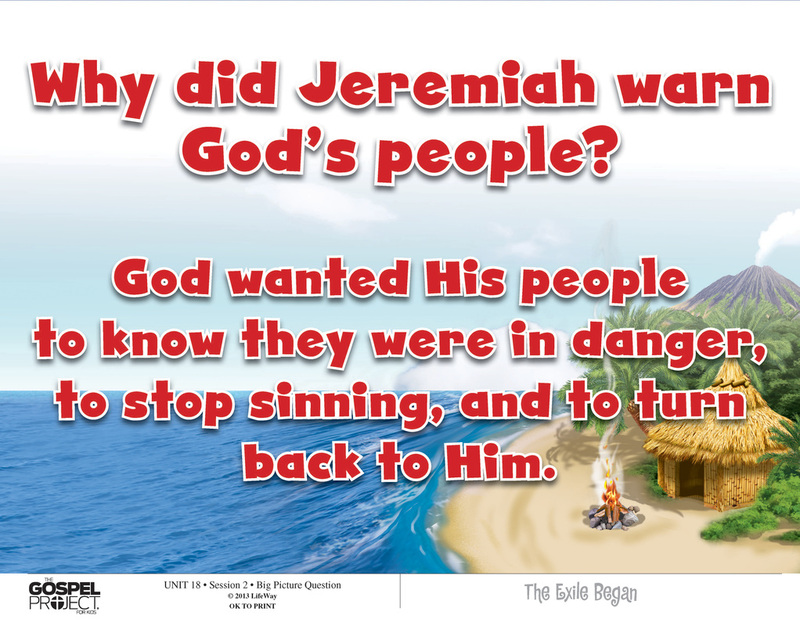 Jeremiah told God’s people that God was displeased, that they needed to stop sinning, and that they should turn back to God and obey His Word. John 1 says that Jesus is the Word. Jesus brought the same message that Jeremiah gave to the people of Judah. Jesus came to live among the people, explain their need to turn back to God, and sacrifice His life to make a way for people to turn from sin and to know and love God. When Josiah’s son Jehoiakim (jih HOY uh kim) had been king of Judah for four years, God gave a message to Jeremiah. God said, “Take a scroll, and write on it everything I have told you about Israel, Judah, and the other nations.” God wanted Judah to hear about His plans to punish them for their sin. Maybe Judah would stop doing evil things and turn back to God. God wanted to forgive them for the wrong things they had done. Jeremiah obeyed God. He called for his friend Baruch (BAY rook) to be his scribe. A scribe is someone who writes down important events and messages. Jeremiah told Baruch what God had said, and Baruch wrote the words on the scroll. Baruch did what Jeremiah said. The people of Judah came into the capital city of Jerusalem, to the Lord’s temple. They were fasting—not eating for a time so they could pray and gure out what God wanted them to do. Baruch read from the scroll so that all the people could hear the word of the Lord. A man named Micaiah (migh KAY yuh) heard the words of the Lord that Baruch read from the scroll. Micaiah went to the king’s palace and told the of cials what he had heard. The of cials asked Baruch to come to the palace and read the scroll to them, and Baruch did. The of cials heard the words of the Lord, and they were afraid. 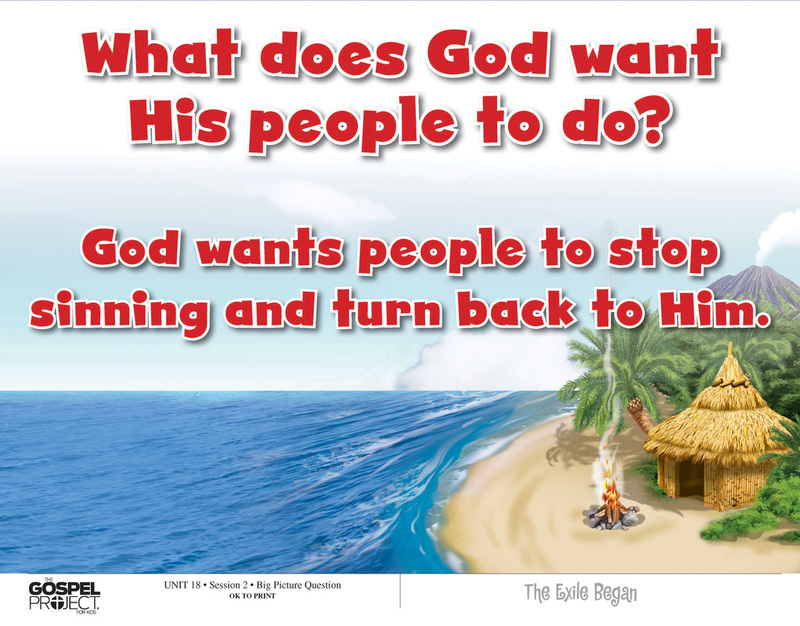 God was angry because of the evil things they had done, and He was going to punish them! The of cials said, “We need to tell King Jehoiakim this message.” The of cials told Baruch and Jeremiah to hide, and then they went and told the king what they had heard. King Jehoiakim asked one of his messengers to read the scroll. The messenger read part of the scroll, and then the king cut it off and threw it into his fire. The messenger read some more, and then the king cut off some more and burned it until the whole scroll was burned up. King Jehoiakim was not afraid of the message from the Lord. He wanted to capture Jeremiah and Baruch, but no one could nd them. 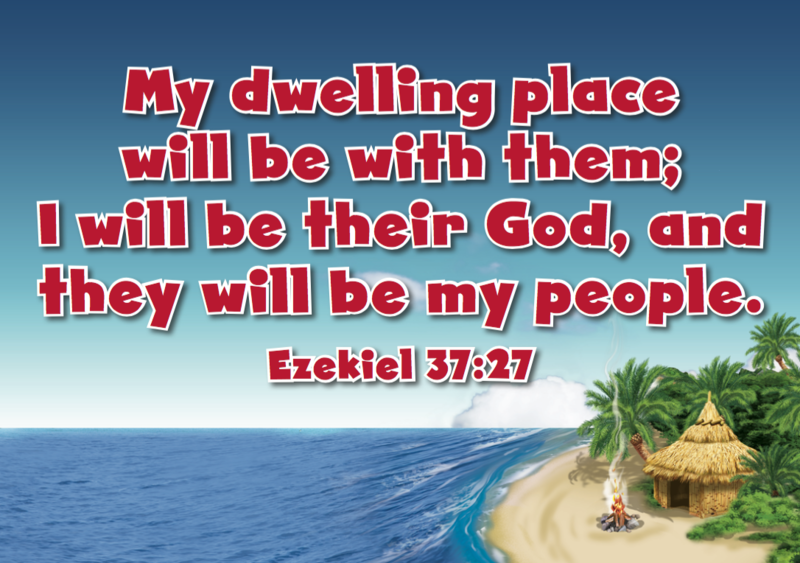 God kept Jeremiah and Baruch hidden so they would be safe. Since King Jehoiakim burned up the rst scroll, God told Jeremiah to write another scroll. This scroll would have the same words as the rst scroll. Jeremiah obeyed God. He gave another scroll to his scribe, Baruch. Baruch wrote down all the words of the Lord that King Jehoiakim had burned up in the re. Christ Connection: John 1 says that Jesus is the Word. Jesus showed people what God is like. God gives us His written Word, the Bible, to tell us what He is like too. The Bible has the most important message: the good news about Jesus. It tells us that God sent His Son, Jesus, to rescue us from our sin.